Long before the word 'computer' described laptops and desktop processors it actually meant 'woman'. It was a job like driver or lawyer. Number crunching, like secretarial work and nursing, was one of the few career opportunities open to women in the first half of the 20th century. Computers wore skirts and blouses and did the numerical legwork for engineers and scientists. Three such 'computers' were Katherine Johnson, Dorothy Vaughan and Mary Jackson. With little fanfare or public recognition, they defied sexism, racism and segregation to become central to NASA's bid to put an American into space: their calculations helped to send Alan Shepard and John Glenn into orbit and back to Earth again. 50 years after the event, the trio are finally getting the credit they deserve. The three women are the subject of Margot Lee Shetterly's book, Hidden Figures, which came out last year and has been turned into a Hollywood movie of the same name, which has soared to the top of the US box office, beating La La Land and Stars Wars in the process. 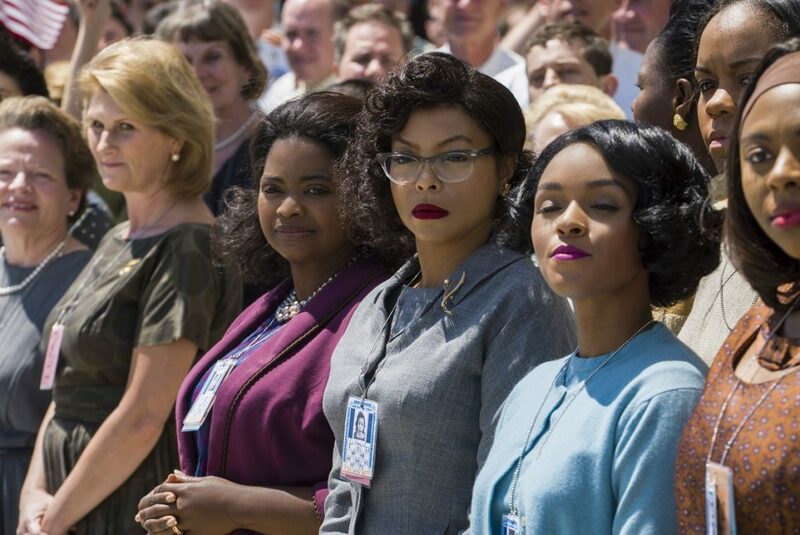 The film, released in the UK next month, stars Empire's Taraji P Henson as Johnson, Octavia Spencer as Vaughan and singer Janelle Monáe as Jackson, three African American mathematicians who, on top of being wives and mothers, made significant contributions to the Apollo missions in the 1960s when they worked at NASA's Langley space agency in Hampton, Virginia. History books are finally to be rewritten to accommodate their place in them. 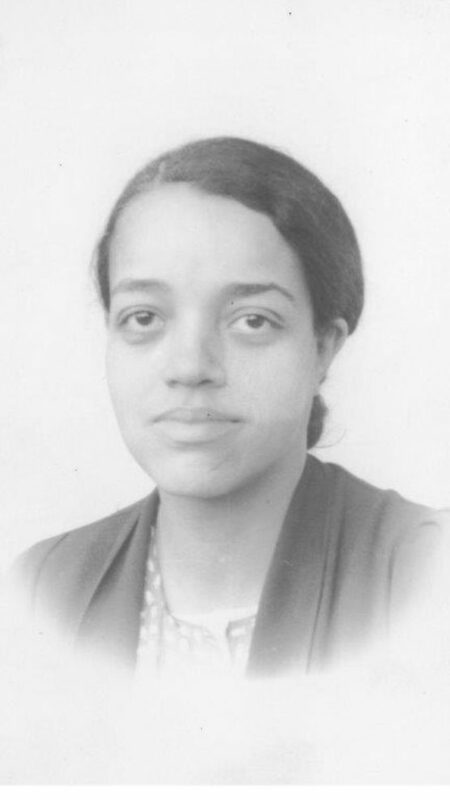 Johnson, a mathematical genius who graduated from high school at 14, became the only woman to join the all-male flight division due to her propensity for analytical geography. 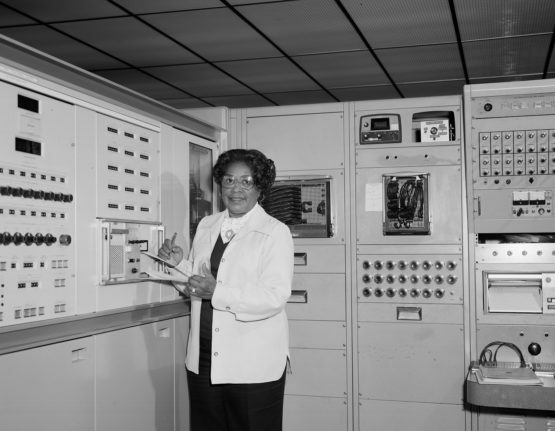 Vaughan became NASA's first black female manager and, after women computers were replaced by IBM machines, an expert Fortran programmer. 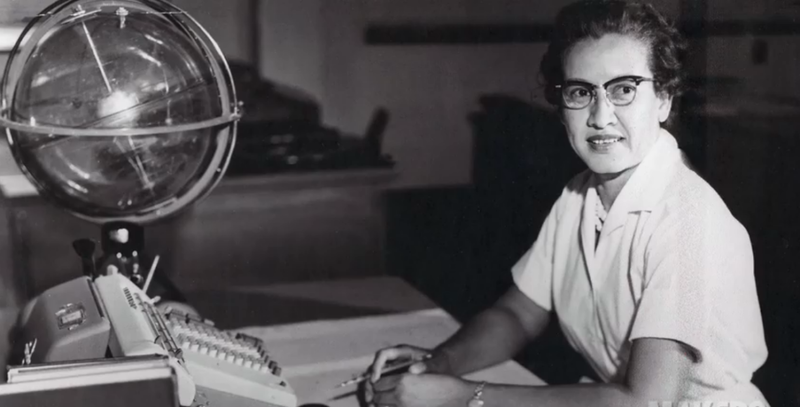 Jackson was one of the first women to become an engineer at NASA, and almost certainly the first black female engineer. This achievement was hard-won: she had to petition state courts to allow her to study for the necessary qualifications, which could only be got from all-white colleges. All three women started out as high school maths teachers, but during a post World War II recruitment drive, were taken on as part of NASA's West Computing division, a segregated branch of computers who made calculations for every facet of the space race. Why haven't we heard of them until now? Well, Shetterly, whose father worked at NASA, knew about the black women of NASA all her life. She grew up knowing that "the face of science was brown like mine", she says now. 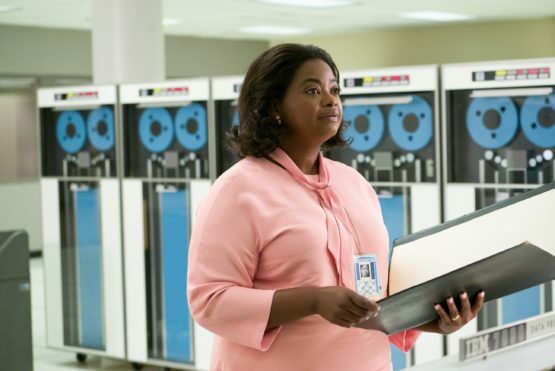 But it wasn't until her father spoke in depth about the computers, during a visit to her hometown of Hampton, that the idea of Hidden Figures ignited. She began contacting every computer she'd met or heard of and gathering their stories. "I knew Katherine Johnson and I knew Mary Jackson. She, actually, at one point worked for my dad. But I didn't really know, in the way that as a kid you don't really pay attention to these things, what they did. They were just people in the neighbourhood," says Shetterly. Shetterly can put names to approximately 50 black women who worked at NASA in the post-war era to 1980. She estimates that there were up to a thousand women working as human computers for the space agency during this period. The first women were hired at what was then NACA, in 1935. "While the black women are the most hidden… they were not sitting alone in the shadows: the white women who made up the majority of Langley's computing workforce over the years have hardly been recognised," Shetterly writes in the book. By 1946 there were 400 'girls' crunching aeronautical numbers for the space agency. "The engineers loved having women computers. They didn't have to do the work and the women did the math more accurately, faster – and the bosses were pleased because they were paid a whole lot less," says NASA's resident historian Dr Bill Barry. But it wasn't just the gender pay gap that black women at NASA had to contend with. Virginia was notorious as one of the worst American states for racial segregation, clinging onto the Jim Crow laws that stopped blacks and whites from being educated together, eating in the same canteens and sharing bathrooms, long after those laws had lost their legal framework. After schools were desegregated, Virginia opted to close all of its schools rather than to let black students in. NASA was also heavily segregated, something the film makes no bones about. There's a moment when Johnson is called out by her boss for being absent from her desk and, mortifyingly, has to explain to a room full of male colleagues that there's no 'coloured bathroom' in the flight task force building – meaning she had to walk to another building more than 20 minutes away just to relieve herself. There is no doubt that these three women were remarkable. But they were far from the only bright, black, female minds recruited by NASA. "There were so many amazing women. One of the hardest things was not being able to make the story about all of them," says Shetterly. "The women that I ultimately chose were even more extraordinary. They were, really, exceptional. They also spent their whole careers at Langley. They weren't women who came during the war, then got married and left, or went to another centre. I chose women whose careers had played out over time in the same place. Their lives in many ways intersected these big sweeps of history." 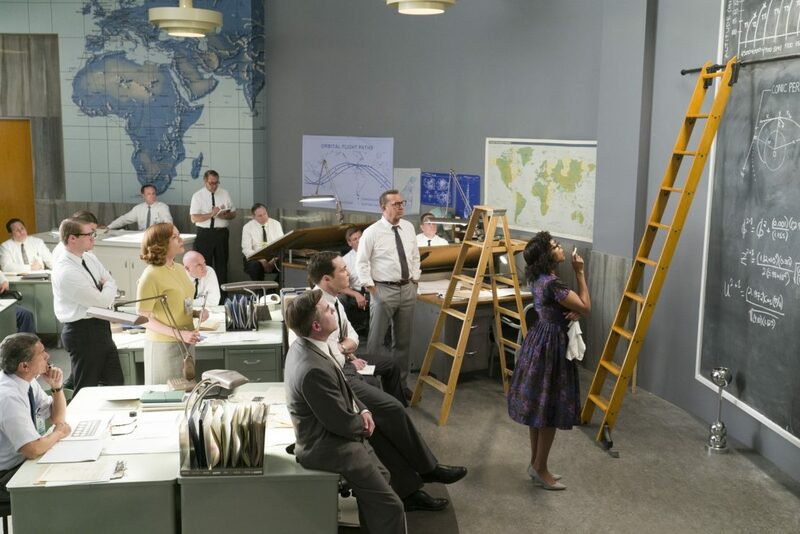 As is portrayed so vividly on screen, they existed in a time of intense excitement over space travel set against the backdrop of the civil rights movement and the cold war. The struggle for space supremacy between Russia and the USA is urgent in the story but it pales in comparison to the very earthbound problems that were still unsolvable. The irony is that the biggest advancements in technology, the trajectory being travelled by the scientists and engineers at NASA, was so great, so futuristic, and all the while they were disinclined to share a coffee pot with a black person or to let their children attend school alongside their colleagues' children. It would take until the 1970s, when Shetterly was born, for the state to start to integrate. Johnson, at 98, is the only member of the trio still alive to see the rewrite history is making of them. Her reputation for mathematical brilliance was so strong that in 1962, not trusting the IBM machine calculations, astronaut John Glenn personally requested that she double-check them before he became the first American to orbit the Earth. But when Shetterly interviewed her, Johnson repeatedly said: "I was just solving problems that needed to be solved." Many of the challenges Johnson faced have been swept away, but there is still much progress to made. Of NASA's 17,500 employees, 6,000 are women and 1,200 are non-white. The space agency is hopeful that the film and Shetterly's book will help to convince anyone who doesn't fit the stereotype that they can be a scientist too. "If we're going to get people to Mars we need the brightest minds and NASA doesn't care what package they come in," says Dr Barry. "We're really hoping [the film] will encourage African American women to apply to NASA."